The unconference will start at 3pm and run until 6pm. More details to follow shortly. The main conference (6pm on) is about networking and hearing pitches from 5 up and coming startups. Five startups have been selected to give a brief 5 minute presentation on their startup following which, a panel of 3 startup experts (see below) will ask 5 minutes of questions, and then the audience will ask questions and give 5 minutes of valuable feedback to the startup in an open forum format. After the 5 presentations, tables are setup for any startup interested in presenting themselves and doing a demo of their products. Note: Presenting companies have been selected from the list of attending startups. The panel of Gurus (Startup experts and VCs) have made their selections. The following startup experts have accepted our invitation to ask each presenting Startup 5-minutes of questions after their presentations. The goal of this panel is to assure critical points are raised prior to the audience asking questions. Perry Evans is the founder and CEO of Closely, Inc., a new start-up aimed at the live local marketing space. Perry’s entrepreneurial background extends through the very early days of the Internet. Having led the formation and development of MapQuest, Jabber and Local Matters over the past 15 years, Perry has been at the forefront of location-based publishing, real-time messaging and local search. Closely, Inc has created a new platform designed for scaled small business participation in live local promotions across social media, real-time search and LBS services. Perry sits on the board of the Deming Center for Entrepreneurship at CU Boulder, and is an active member of the C100 Network of Silicon Valley Entrepreneurs. A native Canadian, Perry graduated from Mount Allison University in Sackville, NB, and the Schulich Graduate School of Business in Toronto, ON. JS Cournoyer. VC and entrepreneur. I’m a co-founder and partner of Montreal Startup and Real Ventures, seed funds investing in web, mobile, software, digital media and gaming. Rick Nathan is Managing Director of Kensington Capital Partners Limited, a leading Canadian private equity investor. Kensington invests across the private markets in buyout, venture capital, growth and infrastructure assets through both direct investment and fund investment programs. Rick currently serves as a Director of Public Mobile Inc. and Mobile Knowledge Inc., D-Wave Systems Inc.(observer), and is a member of the Advisory Board of the Novacap funds. 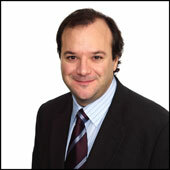 Prior to joining Kensington, Rick was Managing Director of Goodmans Venture Group, a division of Goodmans LLP. In that role, he acted as legal counsel and strategic business advisor to entrepreneurs, emerging growth companies, and private equity investors in the Canadian market, and also had responsibility for a related investment portfolio. In 1999, Rick was a founding partner of Brightspark, an innovative early-stage venture capital fund focused on incubating entrepreneurs in the software, digital media and information and communications technology sectors. Prior to founding Brightspark, Rick spent more than 10 years as a corporate and securities lawyer at Osler, Hoskin & Harcourt LLP, including as leader of the firm's Technology Business Group. Rick is the current Chairman of CVCA - Canada's Venture Capital and Private Equity Association, and the Co-Chair of the Canadian Innovation Exchange. 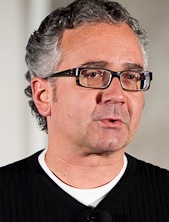 He is also a member of the Advisory Board to the Toronto Region Research Alliance. Rick is a graduate of Dartmouth College (Computer Science) and the University of Toronto, Faculty of Law. The language policy of Startup Camp Montreal is simple, and reflects Montreal’s bilingual heritage and cosmopolitan nature. Some of the attendees will not be from Montreal and may not speak French. However, individual speakers are permitted to present in either of the official languages in which they are most comfortable. It would be appreciated if any handouts and notes provided are in both official languages, though not required.